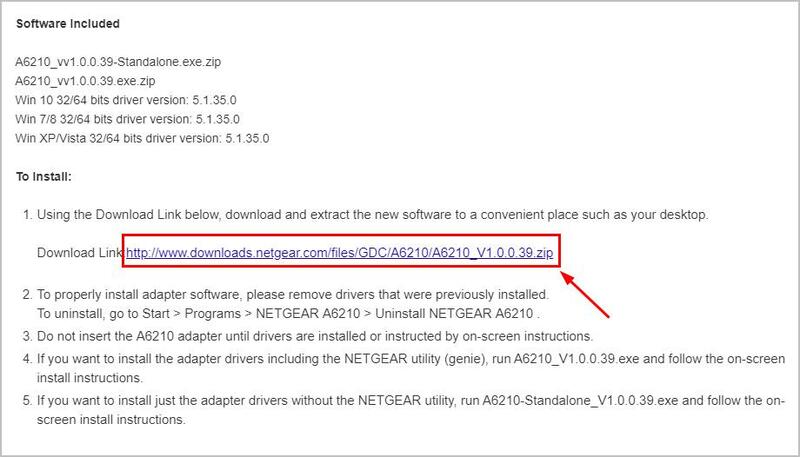 If you’re looking to update the driver for your Netgear a6210 Wi-fi adapter, you’ve come to the right place. In this article, we’ll provide 2 easy ways to help you get the latest Netgear a6210 driver. 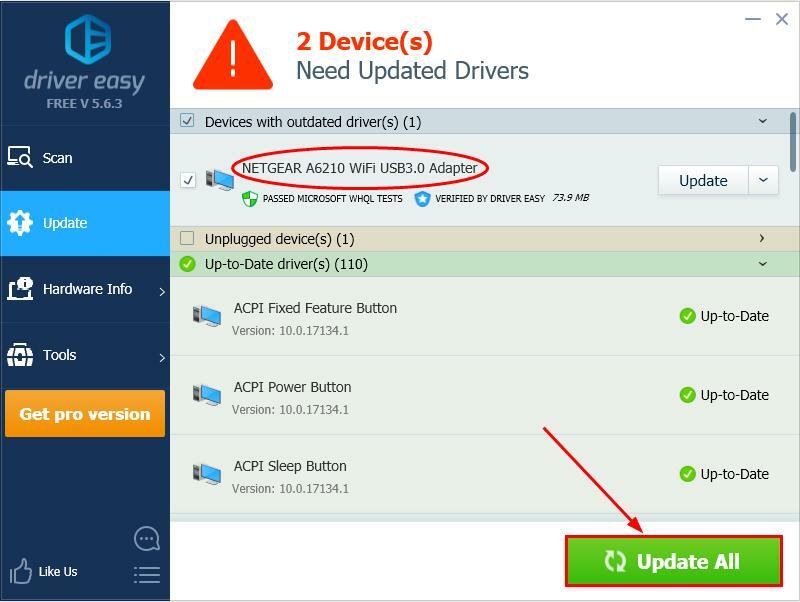 If you don’t have the time, patience or computer skills to update your Netgear a6210 driver manually, you can do it automatically with Driver Easy. Important: You might need to connect your computer to a Wi-fi network in order for a quick and smooth Netgear a6210 driver download & update. 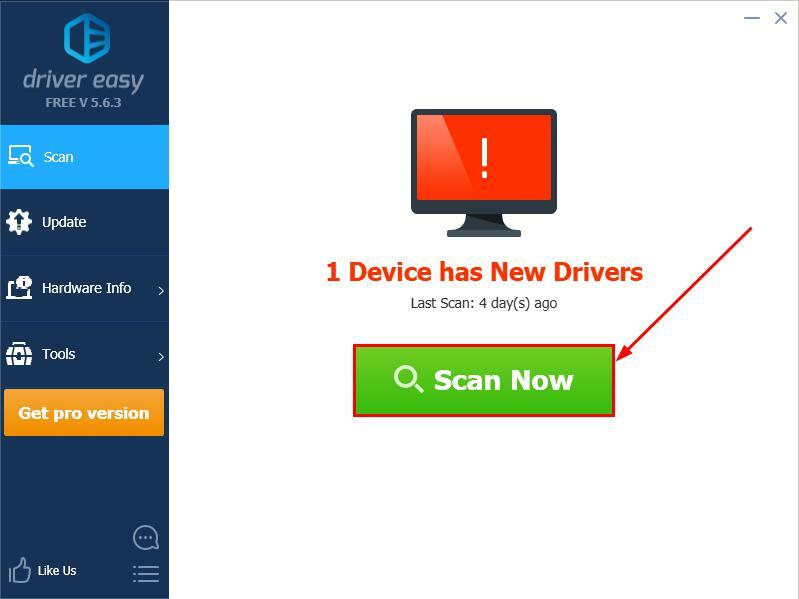 If you have any trouble using Driver Easy, feel free to contact Driver Easy’s support team at support@drivereasy.com for advice. Be sure to attach the URL of this article for more expedient and efficient guidance. Important: If you can’t access the Internet, you might have to download the driver on an network-equipped computer first and then copy the file to the target computer to install. Head to Netgear’s official website and click the Support section. Type Netgear a6210 driver into the search box and press Enter. Click the first result to make sure you download the latest version. Click the download link provided in the page. (Make sure it’s the version suitable for your OS). 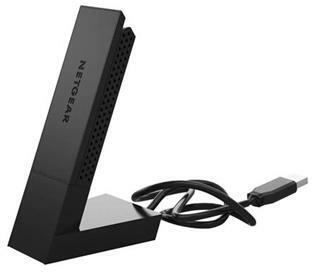 A6210-Standalone_V1.0.0.39.exe if you want to install your Netgear a6210 adapter driver WITHOUT the NETGEAR utility. Follow the wizard to finish the install. There you go– manually and automatically update your Netgear a6210 driver. Hope this helps and feel free to comment below if you have any other further questions. ?